Rolling hills of aspen blanket the landscape in a sheet of green. Wildlife teams, only to be drowned out by the sound of rushing water. Numerous rivers and creeks shape the features of this land, however it’s my front tire that breaks ground… carving a path that cuts through the forest. 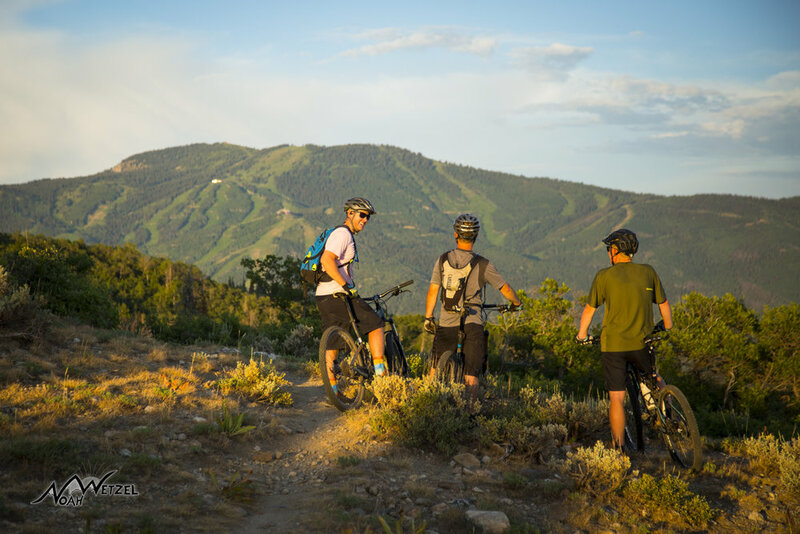 Many Steamboat fanatics are only familiar with the colder months in this quaint mountain town in northern Colorado; however, the rooted and rugged trails that zigzag across the countryside high and low dictate a more plausible activity - world-class mountain biking. As I exit a tight corner my tires release their grasp…vaulting myself into the next turn. My tires sprinkle the surrounding trail with soil as I tear past headed for the open single-track. I’ve got the itch. 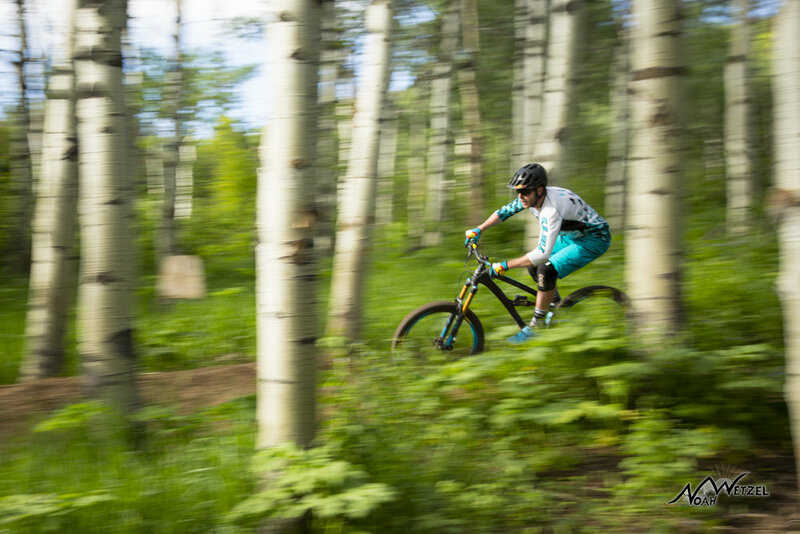 I’ve lived in Steamboat Springs for the past decade, and throughout that time childish excuses have plagued my thinking, building a barrier between the truth and myself – mountain biking. For years I have explored Steamboat and the surrounding areas, however, without a bike I would’ve never discovered some of the trails that I’ve recently enjoyed. The sensation of dirt beneath my soft rubber tire beckons as I blow through the waist-high ferns underneath a green canopy of Aspen trees. It’s all so clear as I hit the next switch back, I have found another passion of mine, a little piece of me that’s always been there, awaiting my discovery to finally find its place in the puzzle. I have been introduced to another side of Steamboat. I have fallen in love once again with this town, and I can’t help but salivate with incurable hunger. That particular appetite is being satisfied through the hard work of the Routt County Riders Association. 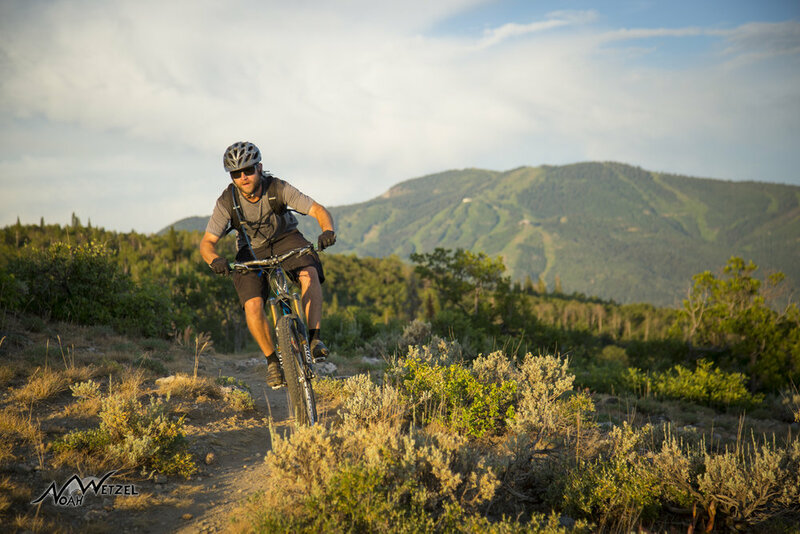 Headed by Steamboat local Aryeh Copa, RCR continues to build new trails every year – flowy, well-graded, fast and fun single-track with downhill directional trails to compliment. Up here there’s certainly a unique flavor for every level of rider. 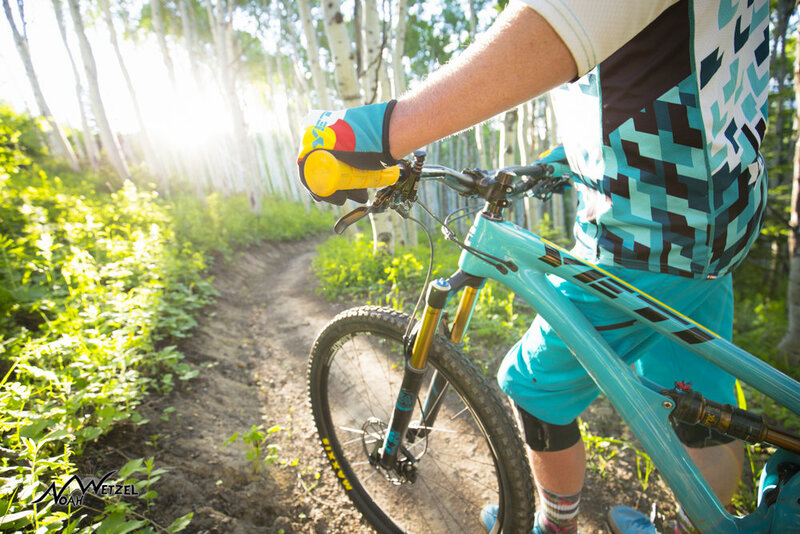 The trails in North Routt County are seldom occupied - beautiful single-track crisscrossing their way near the banks of the Elk River, pitch-perfect climbs and descents on Emerald Mountain combined with the downhill and cross-country options of Steamboat Resort. 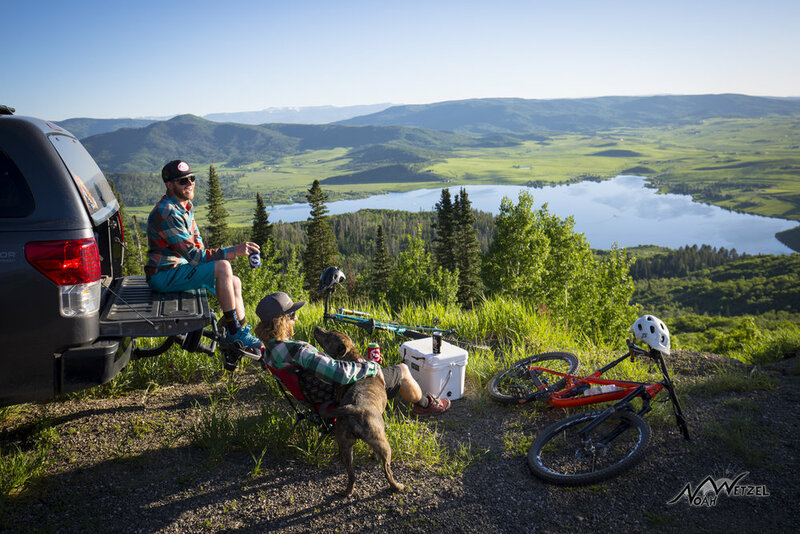 It’s good…really good up here, and if you aren’t yet convinced, the cold suds of your favorite Colorado micro-brew will drown any skepticism after finishing your ride in town and dipping your feet in the refreshing waters of the Yampa River. 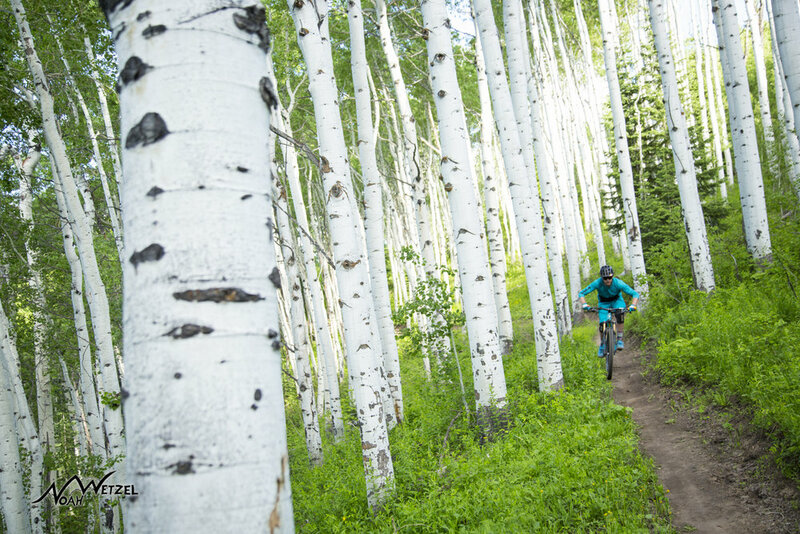 We are passionate about bikes here in Steamboat, and often the trail is the first thing we see at sunrise and the last thing we see at sunset. It’s a simple reminder of how summers should be. Below I’ve included a few pictures and a list of my favorite rides, and don’t forget to consult the Steamboat Springs Bike Guide for maps and more information on local trails (www.steamboatchamber.com). South Fork Trail: Beau Schecter riding past Acorn Rock on the South Fork Trail (Trail 1100) in North Routt County. Detail: Moderate in difficulty, trail 1100 is single-track in its pure form, meandering near the banks of the South Fork of the Elk River. There are a few rocky sections and loose steep sections, but for the most part you will be cruising through open meadows as the trail winds its way through pine and aspen groves. Be prepared for a small river crossing as well about half way through the ride. Location: Take Routt County Road 129 North of Steamboat to Clark. After passing over the Elk River, take a right onto Seedhouse Rd. Follow Seedhouse road for approximately 4-5 miles taking a right hand turn onto FR 443…this will lead to the Burn Ridge TH and Trail 1100 (South Fork Trail). Given the two separate trailheads located on Seedhouse Road (FR 400), its recommended you either shuttle or park halfway between the two at the Boulder Park pull-off on Seedhouse Rd. This will provide a few warm up miles before hitting the trail…and a few miles to take in the scenery after finishing the trail at the South Fork Trailhead. Lupine to Morning Gloria to Quarry Mtn to Little Moab to NPR: Justin Reiter cruising through a berm on the downhill directional NPR trail on Emerald Mountain. Detail: This fun loop will certainly make you earn happy hour with approximately 13 total miles and 1,400 vertical feet in elevation gain. Follow Lupine to the pitch perfect Morning Gloria to the top of Emerald Mountain giving you stunning views of the Yampa Valley…this is a fun and relatively easy climb! From the top of Emerald Mtn take the tight and winding Quarry Mountain trail (More Difficult) down to the start of Little Moab and the Quarry Overlook. Next ride down the (Most Difficult) Little Moab Trail. Although short, this is a fun section of loose slick-rock trail that will get your heart-rate up, calming your nerves before dropping into NPR (a downhill specific trail). 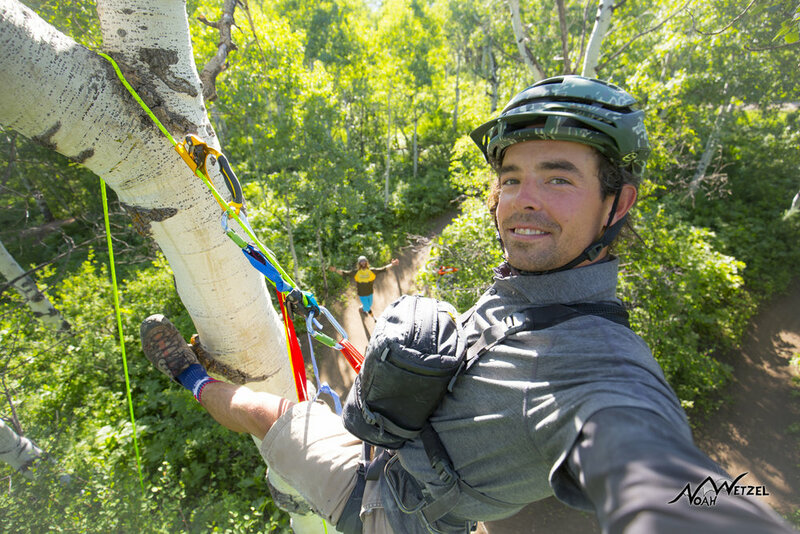 Take NPR down through 3 sections of winding berms and jumps to the base of Howelson Hill where the Core Trail will quickly guide you over to your favorite watering hole in downtown Steamboat. Location: Park at the Horse Stables located at the base of Howelson Hill in downtown Steamboat…gear up and start riding! Rustlers Ridge Trail @ Steamboat Resort: Aryeh Copa airing it out on Rustler's Ridge Trail with scenic views of the Yampa Valley. Detail: One of the best ways to experience riding in Steamboat is through the lift-access terrain on Steamboat Resort. With dozens of trails rated from easy to expert, a day here is guaranteed to get you smiling and high-fiving your friends! Location: Steamboat Resort. Mt Werner Circle, Steamboat Springs, Colorado. Justin Reiter cruising through the Aspens on NPR on Emerald Mtn. Justin Reiter riding Wild Rose on Emerald Mountain. Steamboat Springs, Colorado. Justin Reiter on Wild Rose on Emerald Mountain. Justin Reiter riding NPR on Emerald Mountain. Steamboat Springs, Colorado. Beau Schecter riding through a burn zone and wildflowers on the Diamond Park Trail (1189) in North Routt County. Justin Reiter and Mike Rundle overlooking the Yampa Valley on Rabbit Ears Pass. Colorado. Overlooking Steamboat Resort while riding the Beall Trail on Emerald Mountain. Steamboat Springs. Selfie...up in the trees shooting Mike Rundle on NPR. Emerald Mountain. Steamboat Springs, Colorado. Jared Terrio riding on the Beall Trail. Emerald Mountain. Steamboat Springs, Colorado. Aryeh Copa railing the wall ride on Buckin Bron at Steamboat Resort. Steamboat Springs, Colorado.